Now that you've gotten over December shopping fatigue, it's time to head back to the stores for something fun: registering! Seriously, everyone I know has had a blast. Once you get that power registering gun in your hand, there'll be no stopping you, as you jump from section to section adding fine china and a new big screen TV. Later, there'll be time to get rid of the beer cozies and talking picture frames (what were you thinking!?!?). Just to make sure you don't miss something important in your sugar-fueled registry fun, check out this new wedding registry checklist for the dining room. It will make sure you actually get the important things, like plates. Or, if you'd rather, you can just eat off the beer cozies for the rest of your married life. Congratulations! You're about to embark on two amazing adventures - the first, of course, being your life as a wedded couple and the second being the exciting, yet often overwhelming process of planning a wedding. A wedding will probably be the biggest and most involved party or ritual either of you have ever put together. Before you get overwhelmed, take a deep breath, then do these ten things. Jump up and down saying "We're engaged!" Stare at the engagement ring. Take the time to write down in detail how you got engaged. Contemplate the wonderful things ahead of you. Take pictures of yourselves with the engagement ring. Kiss each other a thousand more times. You should tell your parents of your impending nuptials before anyone else. (Unless of course, you are estranged.) Both of you should be present and ideally you will tell them in person - they'll have a chance to see your happiness up close, look at the rock, and start talking about the wedding. Traditionally the bride's parents know before the groom's do, but any order is really fine. Then share the news with a few close friends - the ones who are likely candidates for maid/matron of honor and best man, or definite attendants in some capacity. This will be a time of ten thousand moments you won't want to forget, as well as some frustrating times that you'll need to vent about, and not necessarily to your partner. The journal you keep while planning your wedding will not only help you through this time, but it will be something you cherish for the rest of your life. If you're internet savvy kinds of folks, you may also consider doing this journaling online at a site such as Livejournal. One of the most important decisions you will make as you plan your wedding. Not only will it be the first question everyone will ask you, but you'd be surprised how difficult it will be to make any progress on planning your wedding without knowing the date. Check out my page on setting your date for tips on how do to so. ARLIEQUE CATERING1214 WOODVALE DR MT JULIET TN 37122 (615) 758-8749More than award winning BBQ, Let us quote you a price for your next special event! We promise you a memorable experience and a great meal your guest will never forget! We will customize your menu for your needs...breakfast, lunch and dinner! COOKING CREATIONS202 WATSON CR LEBANON TN 37087 (615) 453-8334Catering to suit the clients needs. At Cooking Creations we believe when it comes to your special event, that there are no rules! However big or small your event is, or however unusual the theme may be. We cater foods and themes to personalize your needs. Food is our specialty. THE CATERING COMPANY850 HILLWOOD BLVD. SUITE 6 NASHVILLE, TN 37209 (615) 352-0527A full service gourmet catering company, we specialize in small dinner parties, cocktail buffets, wedding receptions, and corporate events. With expertise in fine party planning, we are known for our innovative menus and stylish presentations. We believe in using the highest quality foods and providing gracious service. We gladly customize menus for any meeting or social event. PRO ENTERTAINMENT PARTY BUSNASHVILLE TN (615) 207-6897Party Bus (Night club On Wheels) comes with DJ, Driver, Lights & Sound! For Kids, Adults Parties, School & Church events, Corporate & Business parties! Also available: We offer Catering, Flatware, Hardware, Glassware, China, Beverage Servers, Linens, Tables, Chairs, Tents, Wedding Supplies, Chocolate Fountain and much more! We are your one stop place for all your entertainment needs. 615-207-6897 or e-mail us at: pro_entertainment@msn.com. A wedding is a ceremony that celebrates the beginning of a marriage or civil union. Wedding traditions and customs vary greatly between cultures, ethnic groups, religions, countries, and social classes. In some countries, cultures and religions, the actual act of marriage begins during the wedding ceremony. In others, the legal act of marriage occurs at the time of signing a marriage license or other legal document, and the wedding is then an opportunity to perform a traditional ceremony and celebrate with friends and family. A woman being married is called a bride, a man called a bridegroom, after the ceremony they become a wife and a husband, respectively. Find a Show--Show Preview--Purchase Tickets--Win! 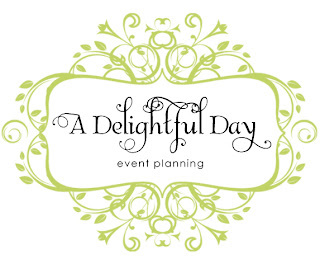 Click here for a complete bridal show schedule, or use the dropdown box above. Watch a preview of everything you'll see when you attend the Great Bridal Expo. Order tickets to the Great Bridal Expo online.Click here to get started! Win dozens of prizes, including a honeymoon, airline tickets, jewelry and more! It is true! Everyone at the wedding plays a role. The bride, groom and officiant are the obvious ones. The Ring Bearer and Flower Girl are also important. We are here to help one and all! Many would argue the bride is the star of the show. True or not, there's no doubt it's her big day. A bride has so many details to consider, from making the best choices in her attire, her attendants, accessories and vendors to understanding the feelings of her friends and family. We put it all together here to help make her big day her perfect day. Speeches, tuxedo, Best Man and Groomsmen gifts; just to name a few of the responsibilities. You, too, can help in planning your wedding, and your bride-to-be will love you even more for it! Your bridesmaids should be your allies, so make the most of them. Celebrate your relationship with them. Know how they can help you. And learn to deal with problems that sometimes arise. The Best Man can play a very important role, and help the wedding day go smoothly. Morale support, transporting the groom, organizing a bachelor party, even paying the various vendors. We hope these articles can help. Bridal shows in Tennessee, your local resource for bridal shows and wedding expos in Tennessee. BestBridalPrices.com[7698 referrals since 03 27, 2007, recent 390]Bestbridalprices.com offers the finest in wedding dresses at remarkably affordable prices. Enjoy the extravagant bridal gowns of some of the top wedding dress designers while staying within your big day budget. Bridal Online Store.com[1920 referrals since 09 27, 2007, recent 325]80% Discount on Designer Wedding Dresses, Bridal Gowns. We also carry Plus size Wedding Gowns, BridesMaids dresses, flower girl dresses, bridal lingerie, tiaras, veils, slips, bras, preservation kits, and "Just Married" magnets. We are the largest online Bridal Store! Fairytale Endeavors Bridals[15112 referrals since 09 29, 2006, recent 2598]66 Wedding Dresses $199-$300. FREE Gift Certificate Bridesmaid dresses $85-$105 - Flower Girls $65-$88. We also sell Ring Beare Tuxedos, Headpieces, Bridal Shoes, and all the accessories. ALL DRESSES AVAILABLE IN PLUS SIZES or can be custom sized! Top Quality, not top $. Wedding Dress Store,custom accept[464 referrals since 12 06, 2007, recent 3626]We sells bridal gown & all other wedding dresses to all over the world. There are many styles to choose from, plus, you can send picture to have a custom gown designed especially for you. We have our own Wedding Dress Factory,no agency,Great Discount! On Great Sales! Bridal Gown Clearance sale $99 now! BridalOutletWorld.com[5629 referrals since 08 11, 2007, recent 4064]Up to 80% off retail prices. FREE HONEYMOON WITH THE PURCHASE OF ANY BRIDAL GOWN!! Featuring the highest quality designer inspired bridal gowns, bridesmaid dresses and veils available online. All gowns hand beaded and custom made. The only difference you'll notice between our gowns and the designer's is the price tag! Elegant Gowns[31163 referrals since 02 01, 2006, recent 4101]We ship all over the world!! Designer wedding gowns at up to 80% off retail. Custom wedding gowns at unbeatable prices. Receive a FREE honeymoon with every gown purchase. Wedding invitations, veils, accessories and more. Bridal Gowns, bridesmaid, Mother of the Bride and more. Elegant Designer Gowns for Less[12482 referrals since 10 03, 2006, recent 1297]Best selling designer gowns at the lowest prices(WILL BEAT ANY INTERNET PRICE). Over 3,000 brand name and couture bridal, bridesmaid, prom, and mother of bride gowns. MAGGIE SOTTERO, CASABLANCA, BILL LEVKOFF, JASMINE, AFTER SIX, ALFRED ANGELO, JORDAN..shipped directly to you, no hassle! Family owned and operated for 23 years! Trade planning advice with other TENNESSEE brides on The Knot TENNESSEE message boards. Find everything you need to plan a Tennessee wedding right here. At The Knot we live to make everything about your wedding easier -- and more fun. So we've teamed up with the Macy's Wedding & Gift Registry to create “instant” registries for different types of couples. Pick a lifestyle -- or take the quiz -- and get your registry started!